Ultrasonic Straight Beam and other ultrasonic NDT flaw detection techniques utilize sound energy in the testing procedure. Straight beam testing utilizes the concept that sound energy traveling through a medium will continue to propagate until it either disperses or reflects off a boundary of another material. Air surrounding a far wall or the gap created by a flaw or like discontinuity are examples of material that causes reflection of the sound energy. In this type of test, the operator pairs the transducer to the test piece and identifies the echo returning from the far wall (known as 'the backwall signal'). 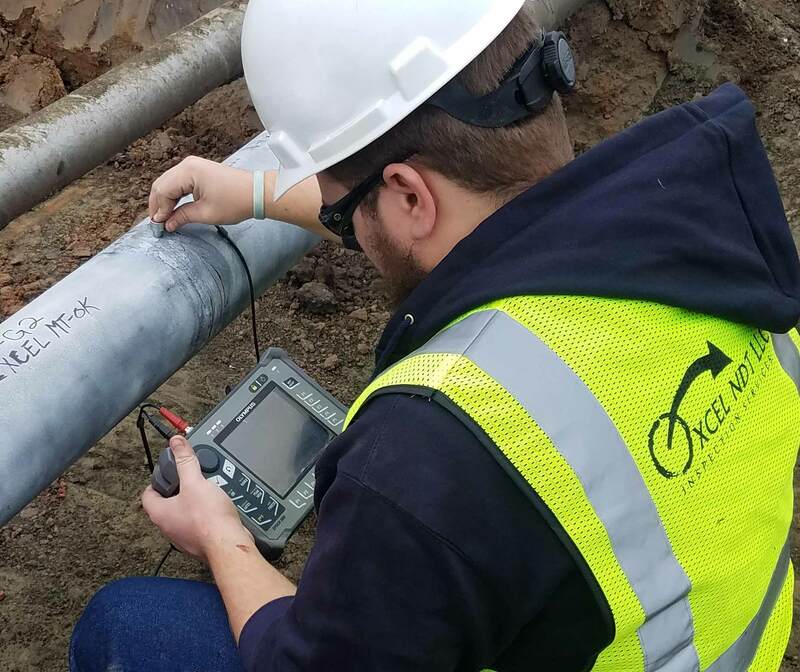 After identifying the backwall signal location on a good part, the operator then looks for any additional echoes that appear ahead of the said signal or watch for the signal to shift when inspecting a test piece. An acoustically significant echo that precedes the backwall signal may represent the presence of a laminar crack or void. Through further analysis, the depth, size, and shape of the structure producing the reflection can be determined. Normal/Angle Beam – Normal beam testing uses a sound beam that is introduced at 90 degrees to the surface – for thickness testing, while angle beam utilizes a beam that is introduced into the specimen at some angle other than 90 degrees. The choice between the two is made based on the orientation of the discontinuities that are of interest to the inspector, as the inspector should always try to introduce the sound beam at an angle as close to perpendicular the discontinuities primary axis so that the maximum amount of sound reflection occurs.